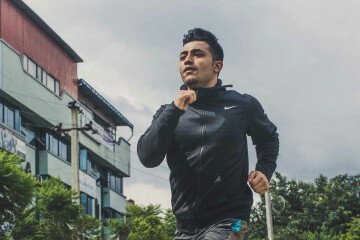 NYFC is a registered non-profit organization promoting calisthenics workout and creating free fitness platforms around the country.They consist of around 30 members and have managed to open up the first ever complete outdoor Calisthenics Park at Shanti Park, Boudha, Kathmandu on 6th November, 2017. The park covers an area of 15 sq. 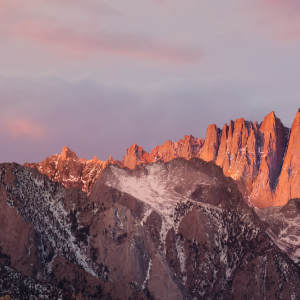 metres. This is an open public park where anyone can come in and do the exercises for free of cost anytime. 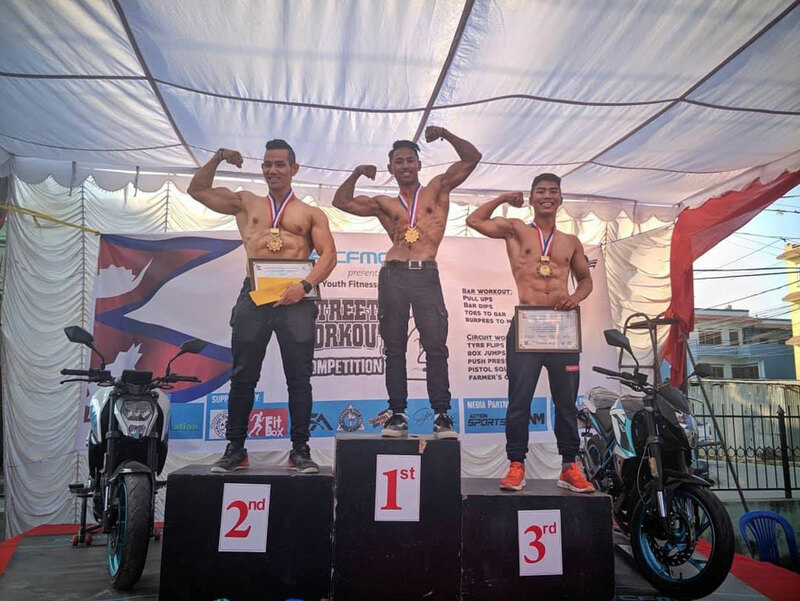 After the success of the first street workout competition, NYFC organized the 2nd Street workout competition on 17th November, 2018 at Shanti Park, Boudha. The event had72 participants from cities like Pokhara, Butwal, Jhapa, Nepalgunj, Kavre andKathmandu valley and an audience of over 1000 people. Apart from the competition, the event consisted of entertainments such as Calisthenics Free style,Arm Wrestling, Tyre Flip challenge and Push Ups challenge. 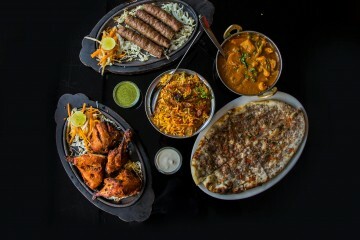 NYFC provided free breakfast andlunch Box for all the participants, guests and volunteers. Not just that but they even payed Rs.2,000 to each athlete who participated from outside of Kathmandu Valley as travel and accommodation expense. They even provided a free gym t-shirt to all the participants. The event had7 judges to help with fair competition throughout and in case of any possible casualties, medical personnel were hired for the entire day. The event consisted of three different competitions; Bar Workout, Circuit Workout for Male and Circuit Workout for Female. “Certificate of Participation” for all the participants. 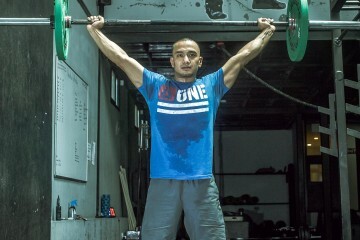 The winners for Bar workout were Karan Thapa representing The Pump in the first position and Rabin Rai from Gymkhana Muay Thai and Rabin Tamang from NYFC in the second and third position respectively. As for the circuit workout, in male category, Deep Thapa from NYFC secured the first position, NabinDeula from NYFC came in second and NimaGyalzin Sherpa from NYFC came in third. 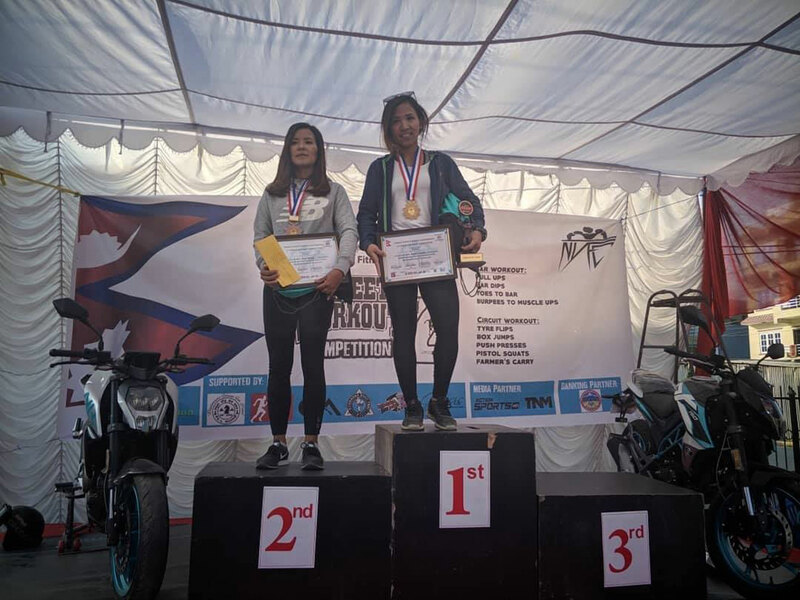 In the female category,Saprina Shrestha from The Pump secured the first position and Rasu Gurung and Rosin Rai from Gymkhana Muay Thai came in second and third, respectively. 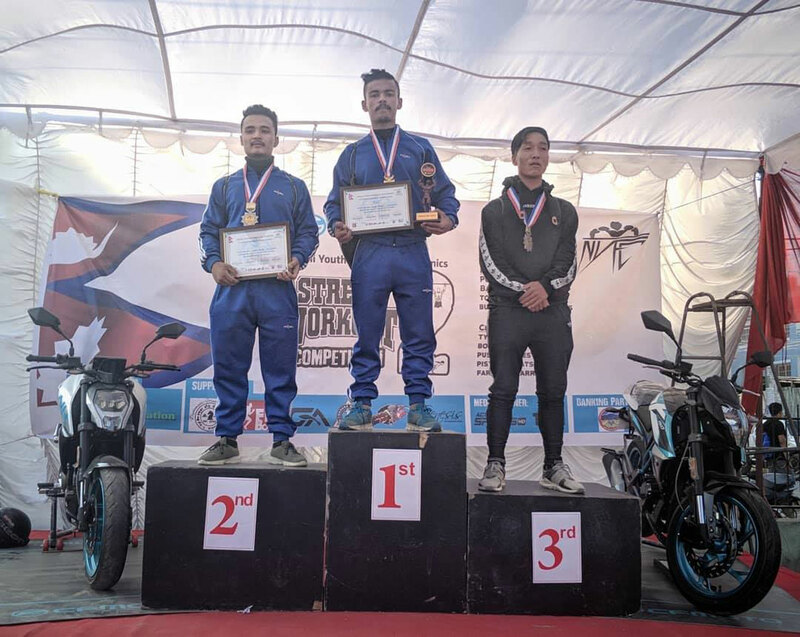 The event was sponsored by CF Moto Nepal and co-sponsored byFitnationalong with supporters such as NamunaBoudha Chess Club, Fitbox, Gorkha Aesthetics, Bikersmart Nepal, Gymkhana Muay Thai, Genesis Café and Agricultural Development Bank.